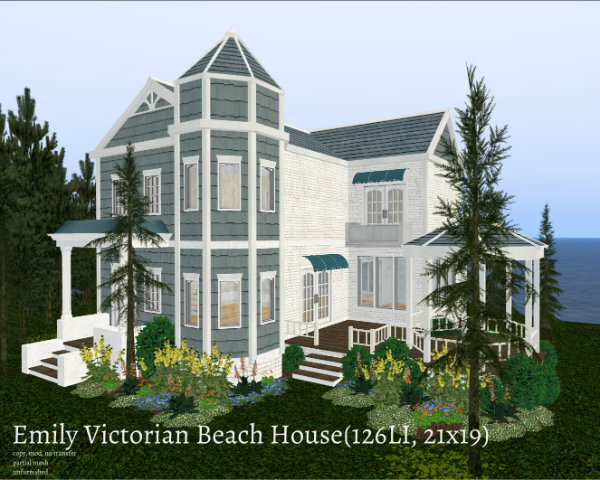 I have wanted to do a Victorian styled beach home forever and this is it! It's blue and white and there's the cladding and the worned white brick. 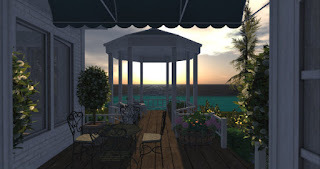 I especially love the open deck and the pergola. The double-door from the living area opens up to the deck and pergola. A perfect view to watch the sunset. 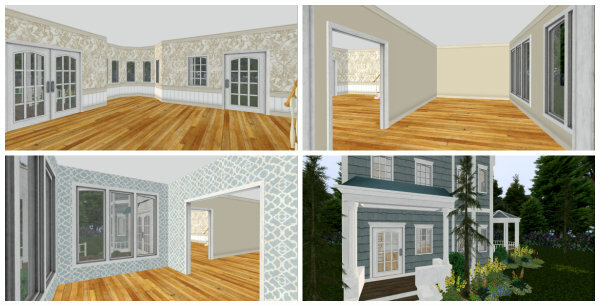 A collage of the living area, kitchen and dining. 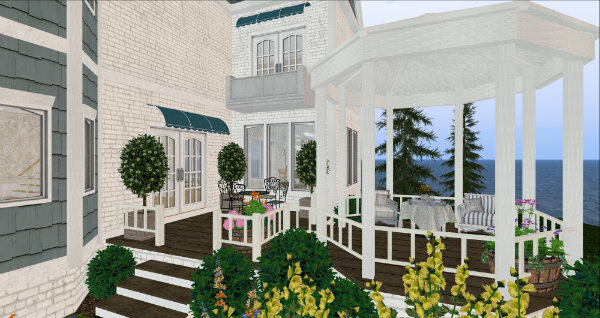 Also the cute entrance porch. 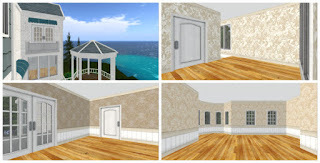 A collage of the little balcony, the upstairs landing area and the 2 bedrooms. 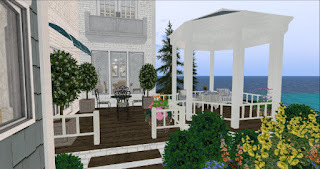 Another view of the deck and pergola. This house is 126 land impact and sits on a 21x19 base. It is copy, mod, no transfer and partial mesh. 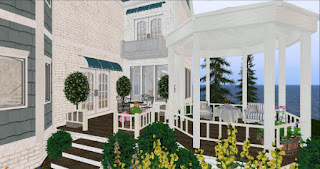 I have also included the landscaping which is 52LI. I have also added rezzers and non-rezzers for which ever you prefer. Emily Victorian Beach House is now available for 699L at my in-world store and the Marketplace. 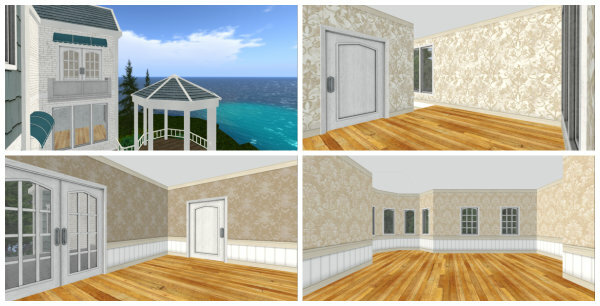 Please see the demo of the house at my in-world store.